As much as Halloween is about ghosts and goblins, the thing that scares me the most generally has less to do with the fantastic and more with the evil that human beings are capable of. 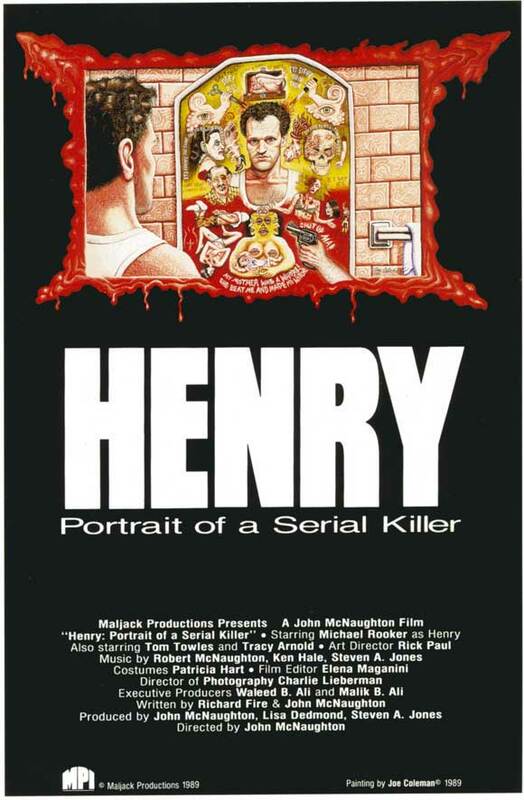 Enter Henry: Portrait of a Serial Killer. Featuring Michael Rooker (Mr. Svenning from Mallrats!) in the eponymous role, Henry is as its title would lead one to believe, a look into the life of a man guilty of multiple murders. To all appearances, Henry is a polite, yet aloof underachiever. Something of a drifter, he never stays in one place for too long, making few connections; mainly so it becomes harder for police to determine that the bodies he leaves in his wake are all being murdered by the same man. Henry seemingly kills for no reason and without pleasure, malice, or remorse. He murders innocent and completely random victims with no knowable logic; he just kills: that is who he is. Things become complicated when his friend Otis' sister Becky moves into their apartment. The plot thickens when Becky begins to fall for Henry, seemingly the first nice guy to enter her life, and things get worse still when the degenerate Otis begins to develop a fascination with Henry's pastime. Henry is truly an intense film to watch. While onscreen murders are present, none are as horrifying visually as they spiritually. 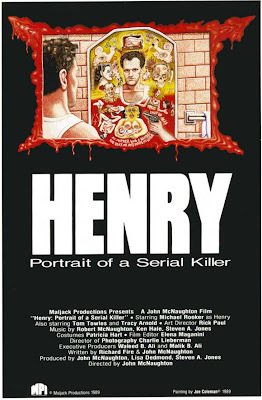 Henry's lack of emotion or motivation make each killing really disturbing, and the film's opening, which features the bodies of Henry's victims while a garbled sound of the murder itself echoes over the soundtrack, is truly upsetting. And if Otis isn't one of the more disgusting characters in American cinema I'll eat my hat. But was it scary? There is nothing to startle the audience directly, but this movie that will stay with you whether you want it to or not.